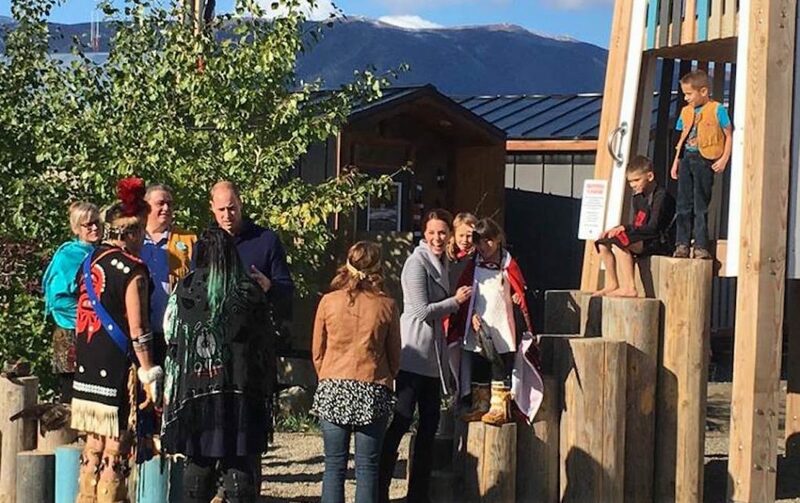 Posts in category "cool playground"
On September 28th during their recent visit to Canada, the Duke and Duchess of Cambridge, Prince William and Princess Catherine, spent part of an afternoon in Carcross, Yukon. 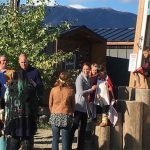 Their visit allowed them to meet members of the Carcross/Tagish First Nation and to learn about recent economic development projects aimed at attracting tourists to the scenic area. They were entertained by the children of Carcross who performed a “Raven Dance” in the centre of Carcross Commons with the playground recently completed by Earthscape as the backdrop to the event. After the performance, Will and Kate engaged with the children who had performed for them. The children were thrilled to show the Prince and Princess their new playscape as they scrambled up the log steppers into the playground tower. The playspace at Carcross Commons brings together the vision of the Tagish First Nation community, the vast histories of the land, and research on children’s play experiences. It is an additional feature and attraction for children in this distinct and stunning landscape. Inspiration for the playground was drawn from local history, major landmarks and First Nations creation stories. 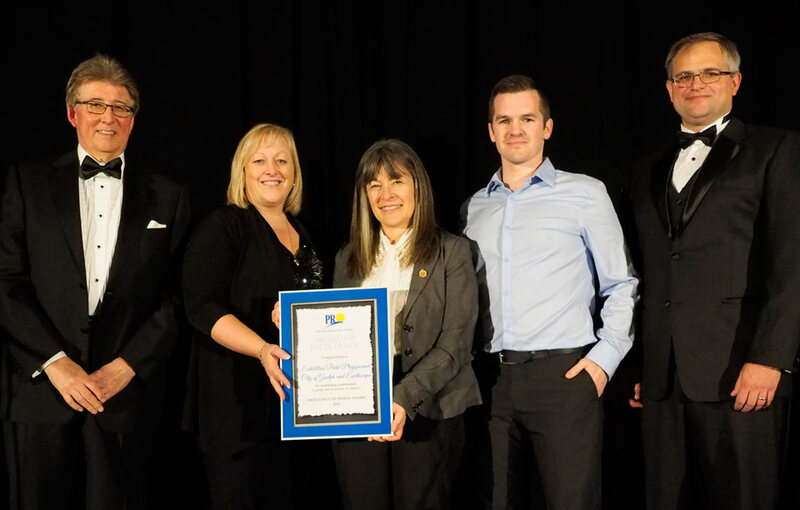 On April 7th at the annual conference for Parks and Recreation Ontario, Preston Stringer of Earthscape and Heather Flaherty of the City of Guelph, proudly accepted a 2016 Excellence in Design Award for the Exhibition Park Playground. Read the City of Guelph’s Media Release here. Earthscape won three Awards of Excellence in both design and construction categories at the Landscape Ontario Gala awards ceremony in Toronto. 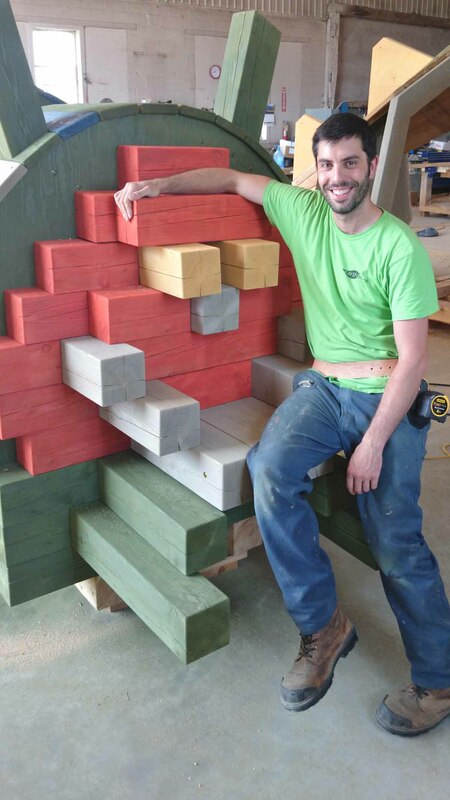 As the sole winners in the Commercial Design category, awards were received for two unique playground designs, one of which will be built this spring at the Orchard Park Early Learning Centre in St. Thomas, Ontario. The second winner is a playground design based on the adventures of comic strip characters Calvin & Hobbes, offering climbable creatures and topography that one might discover in an imaginary alien world. In the Special Interest Construction category, an award was received for the railway-themed Albert Street playground built in the Region of Waterloo. 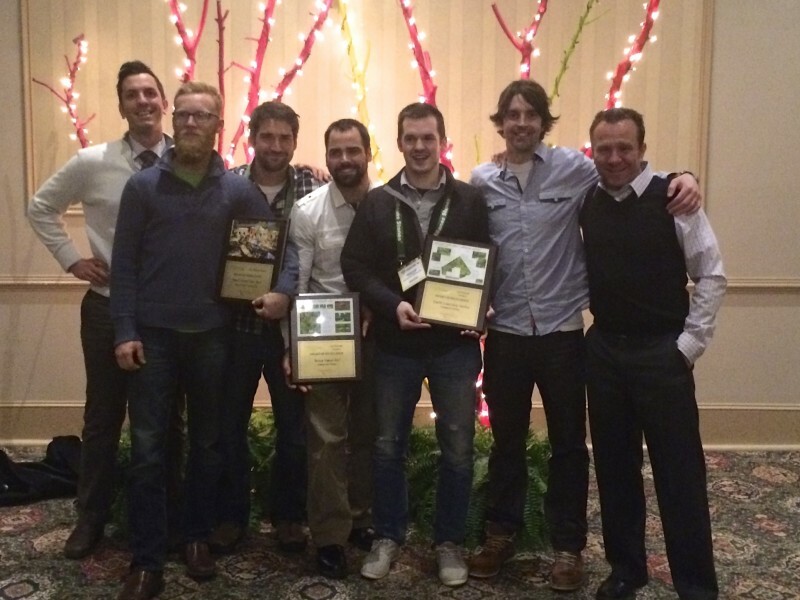 Earthscape has now won a total of 29 awards from Landscape Ontario since 2006. Matt and the hungry caterpillar wish you a happy long weekend on behalf of Earthscape! The hungry caterpillar will be making its way to the Good Beginnings Day Nursery next week. Stay tuned for more photos! Meanwhile, check out the design and video. Earthscape Playgound – St. Edwards Student Choice Winner! 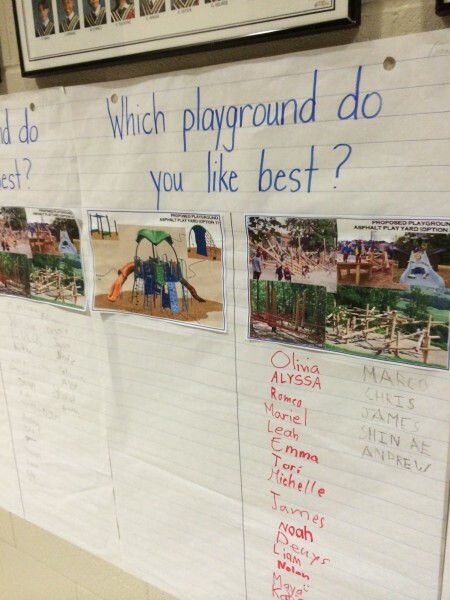 At a recent school consultation, students were asked to vote on the playground they wanted…hands down winner…ours. Gotta love the opinion of kids!! 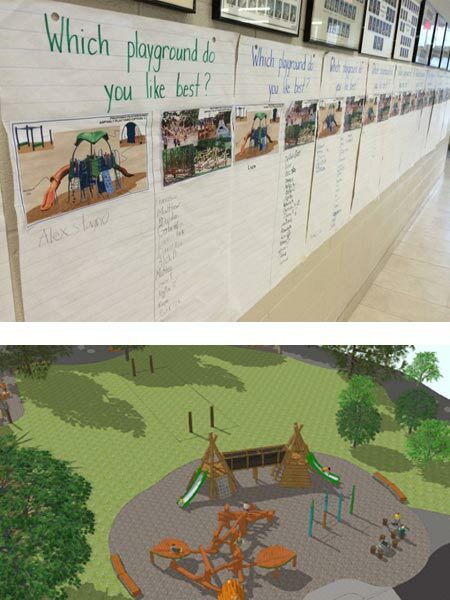 Earthscape was featured in Our Kids for our playground at Ottawa Montessori School. You can read all about it here. Earthscape is looking forward to attending the following upcoming events. Be sure to stop by and see us! Follow Earthscape on Twitter to stay up to date with current news and events.